While visiting any event or exhibit, you’re sure to notice a banner of some sort hanging in the background. This banner will almost always describe the theme of the event long with logos and images. the theme of the event along with various pictures and logos. There are a number of displays available, all of which have different advantages. 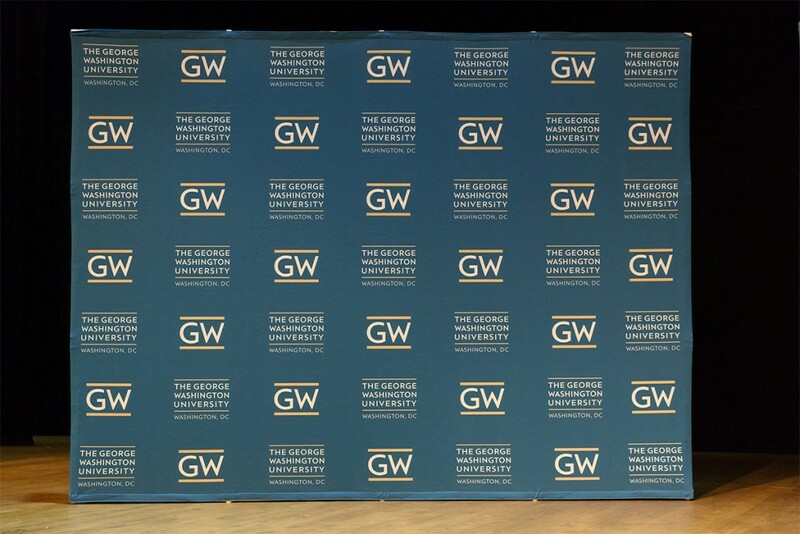 The most common example of this banner, step and repeat banners can be seen when the athletic teams or celebrities conduct press conferences. Type of backdrop you choose will depend upon the event, location and mobility you require. Fabric banners for marketing and events is a classy way to go if they are to be used in an interior setting. Some benefits include: a much lighter weight that can be folded and carried with limited or no wrinkling. Second, Colors are vivid and the banner can be either translucent or opaque. And third, the banners can be printed to any height and length. The banners are digitally printed in full color. Digital printing has replaced dye sub printing on fabric/cloth in almost all applications. When it comes to signage, vinyl banners are the most popular. Why so popular? It is because of the durability and flexibility. We can think of no other form of signage that gives you such long term utility and at a very inexpensive price. Don’t expect the same look as fabric banners, but because of UV-resistant construction these banners are an ideal choice for both interior and exterior use. Retractable banners, also known as portable pop up stands or roll up stands, are light weight and easy to transport after your a trade show is over or business hours are closed for the day. Not only can they be assembled with no hardware or hardship, they take up little floor space and can be stored in a closet or anywhere small. It takes only seconds to unroll your retractable banner. The two most common used materials used in step and repeat banners are vinyl and fabric..In step and repeat banners the logo of the company is repeated in symmetric form. They are usually used in press conferences or in opening or closing of any type of media event. Step and repeat banners are comparatively low in cost since they only required a frame. The pole, usually part of an exhibit both can also be used. Be sure that every photo that is taken during a press conference prominently displays your company’s logo. Camera lights also have an impact on the quality of step and repeat banners, because the reflection in the vinyl, when it is used, or any other type of material which is being used may cause a reflection.